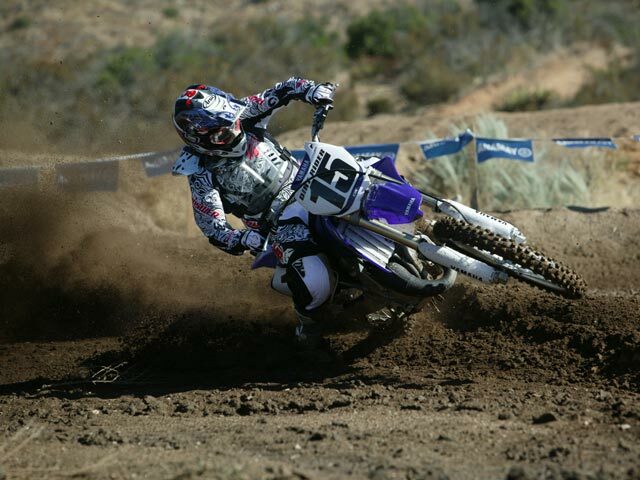 Check out this JGR Yamaha YZ 250. Rebuilt from the ground up, this is a bike we would love to get our hands on! The decision to add, of all things, a completely new two-stroke model to the brand new Freeride segment may seem strange – but only at first glance. And mostly to those who have not yet had the chance to enjoy the punch of a burly two-stroke within a light and agile off-road chassis. However, those who have had that pleasure know: Such an engine epitomizes the kind of response you want from a FREERIDE, because after all, the hot, burning gases hit the piston twice as often. This means that even KTM’s two-stroke enduros, designed for maximum power, churn out gut-wrenching torque from the low rev range in an absolutely glorious manner. And as the FREERIDE 250 R’s engine, true to the Freeriding ideal, is designed not for maximum power, but for a pleasant torque response and optimum rideability, this is where the concept of enjoyable off-roading comes to full fruition. Shane Mac’s been around the New Zealand motocross and enduro scene for quite some time. 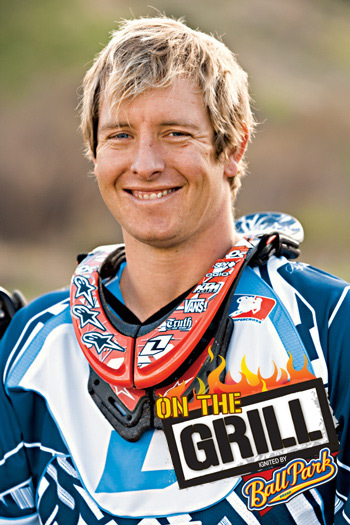 A former national competitor, dirt bike mag editor and recent entrant in the international Red Bull City Scramble event, Shane’s seen a lot. TSM had a chat to Shane about what makes him tick and why, after all these years on a plethora of bikes, he still chooses the two-stroke engine. American Beta is pleased to announce their 2014 RR models. The company from Florence, Italy has turned 110 years old this year and is celebrating in a big way by further improving their off-road line up. All of the bikes receive updates in the chassis and engine departments to further enhance the “Rideability” of the bikes. Beta takes pride in developing their products with a focus on ease of riding and the 2014 models prove this once again. Six models will be offered for 2014 including the Revolutionary 250 and 300 RR two strokes. The bikes return with features such as full rear suspension linkage, front and rear lights, full skid plate, FMF plated exhaust with an FMF silencer, extra front number plate to replace the headlight, Nissin brakes with stainless steel wave rotors, electric start, as well as a backup kick starter . New features for 2014 start with a focus on suspension refinement. Not every rider has the same dream bike in mind, but the MXA wrecking crew ran into two industry powerhouses who did share the same vision. Kawasaki has turned its attention to the KX85 and KX100 models for 2014, with a host of revisions and updates to give the mini warriors a more modern look and better performance. Both small-bore 2-strokes have been a stepping stone for some of the greatest motocross racers of all time such as Ricky Carmichael and Ryan Villopoto, and with the changes for 2014, Kawasaki is intent on providing championship winning machines for the up-and-comers. It’s not every day that you pick up the phone and on the other line is Jamie Hyneman of the blockbuster show MythBusters. You can bet we were stoked when he asked about our Service Honda 500AF 2-Stroke. We believe the 500AF is one of the fastest, lightest and most durable bikes on the market, and if there’s anyone willing to put it to the test, it’s the crew of MythBusters, a show dedicated to testing the enduring myths, odd ball claims, and incredulous stories that we all wonder about. Spazztic Clothing has launched pre order for our first TSM – Sikk Shades team T-Shirt. The Supercross season wraps up tonight in Las Vegas. Tune in here starting at 4:15pm ET, LIVE practice/qualifying runs until 8:00pm ET. Be sure to catch the live racing on Speed TV starting at 9:30pm ET. After extensive testing by Dirt Rider Magazine they have awarded the new Beta 300RR Two Stroke, Bike Of The Year! We are all awaiting the new Maico release, and just like you guys we only catch bits and pieces. The engines will be available in 250, 300, 320, 380, 500 and the monster 700cc. All models can be upgraded to the billet cases for weight saving and killer looks. Watch as KTM’s product manager Joachim Sauer and PR Manager Thomas Kuttruf walk you through the design and build process of the KTM 250SX. 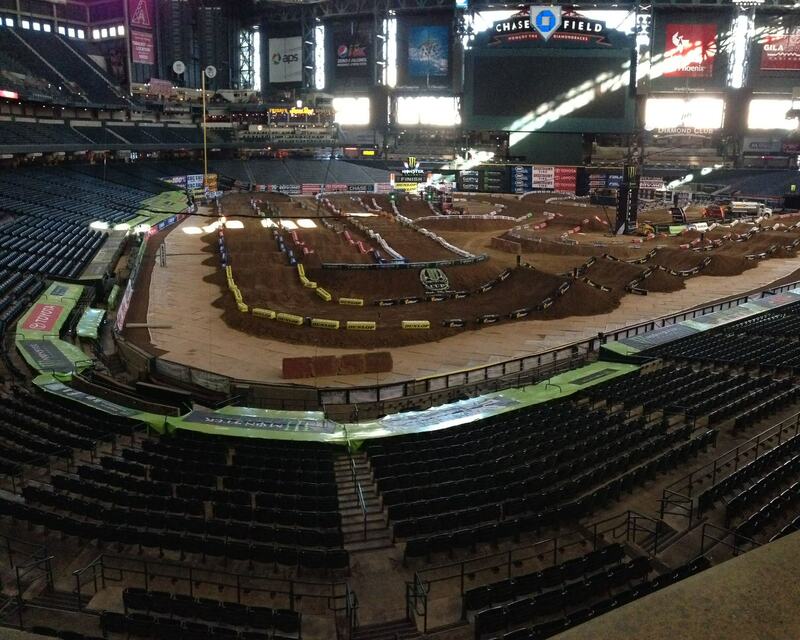 After some great racing at A1 it’s time for round 2 in Phoenix! 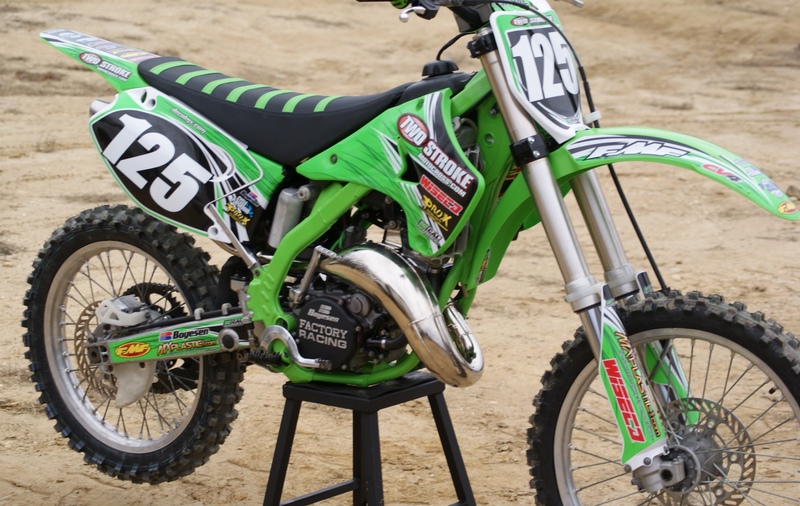 We tested the Throttle Tube on our ’05 KX 125. The Throttle kit includes the Tube (larger cam) as well as a modified pulley to clear the cam. 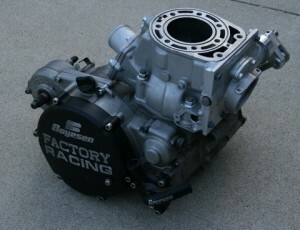 The kit we used will fit Kawasaki, Suzuki and Yamaha Two Strokes, these retail for $69.75. There is also a kit available for Honda and KTM’s, which retails for $44.75. They include a 1 year “no wear, no break” warranty. – Easy signup open to all at Boyesen.com! Boyesen Engineering is now accepting applications to join the Factory Racing Team for the 2013 racing season. Our Factory Racing Support is one of the world’s most generous rider support programs, and exists to provide riders with direct access to special support offers, all-access tech support, and preferred-treatment tech services at select racing venues. Selected athletes are provided varying levels of support based on an overall appraisal of their ability to showcase the Boyesen Factory Racing brand. We started this project as a “Budget Build” to show what you can take to the track for less than $3,000. If you look on Craigslist you can usually find several bikes to choose from for under 3k. What you will mostly find are clapped out thumpers that need (or soon will) motor rebuilds. The motor rebuild can run $1,500-2,500 depending on extent of damage, etc. So for a little under $5k you can have a stock, Craigslist 4 Stroke with a fresh motor. Looking for 2 Stroke head mods? We have teamed up with Cycle Playground to bring our readers and members $25 off! What do you have to do? Go to the order form on the Cycle Playground website shown below. Check the boxes for the Power Range, Mod Type and Bike make/model. At the bottom there is a drop down menu for “Member From?” Select Two Stroke Motocross and get an instant $25 off! Boyesen is pleased to announce the monthly winners of our 40th year anniversary MX Performance Contest! Boyesen is offering a 20% discount code for any purchase from www.boyesen.com. TCI Performance has been working on a YZ 250R project. They started with a 2006 YZ 250 and picked up where Yamaha left off in the development department. We have had numerous readers ask us to do a REAL budget build. Most magazines and companies (us included) start a “budget build” and it tends to get a bit out of hand. With this 2005 KX 125 we will make it an affordable race ready machine. It won’t have all the extra goodies our YZ 144 project had, but it will be a mechanically sound, competitive bike that almost anyone can afford to build, maintain and race. Eric has given authorization to post his response to a recent e-mail conversation a Thumper Talk member had regarding his CR250 case reed engine big bore kit. In his message, he discusses the ’02-’07 CR250. When faced with a challenge, how you choose to handle the situation speaks volumes about your character. Do you choose to give up and retreat, or do you persevere and turn your obstacles into opportunities. Every day is a test to our strength and a chance to turn our difficulties into miracles. 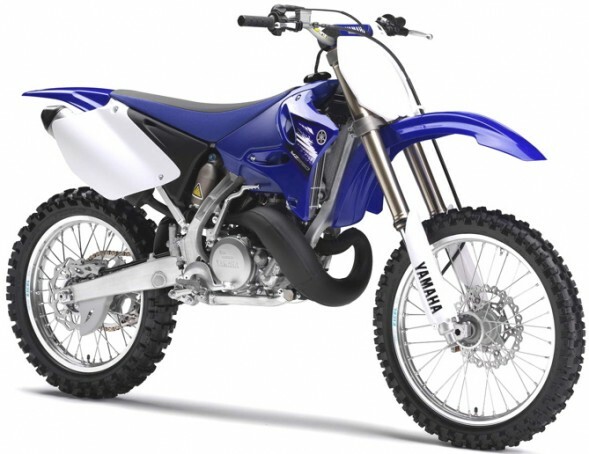 For 2013 Two Stroke Motocross will be running Two Yamaha YZ 250?s at select Outdoor Nationals. As of now we plan on running four events. The guys at Wiseco Performance Products picked up a used 2006 Kawasaki KX 250 to illustrate the cost favorability of a late-model 2-stroke for track and trail riding, as well as ease of ownership. New 2 stroke engines arrive to complete the RR Enduro 2013 range of the Tuscany firm The introduction of new 2 stroke engines in the 2T RR Enduro range is one of the highlights of the history of Beta, after the return to the Enduro category in 2004 and the introduction of the 4 stroke engine “made in Beta” in 2009. These engines are the result of a work that lasted more than 24 months, they were completely designed by Beta and represent a new benchmark in terms of technology, layout and performance of a 2?stroke Enduro engine. Available in 250cc and 300cc displacements, they are manufactured, assembled and tested in house, to ensure their quality and performance. Lightweight and equipped with the latest generation of technical solutions, they are characterized by very smooth and linear power delivery as well as a reference top power. The chassis of the RR Enduro 2T has a dedicated frame with optimized geometry for the different characteristics of the bike compared to the 4T version. Since the beginning of racing, riders have been faced with many choices on the track. The fastest rider is often the one who chooses the best lines on the track. Many factors exist when deciding which line to take through a corner. Use this visual guide to help you pick the fastest line and shave seconds off your lap times. 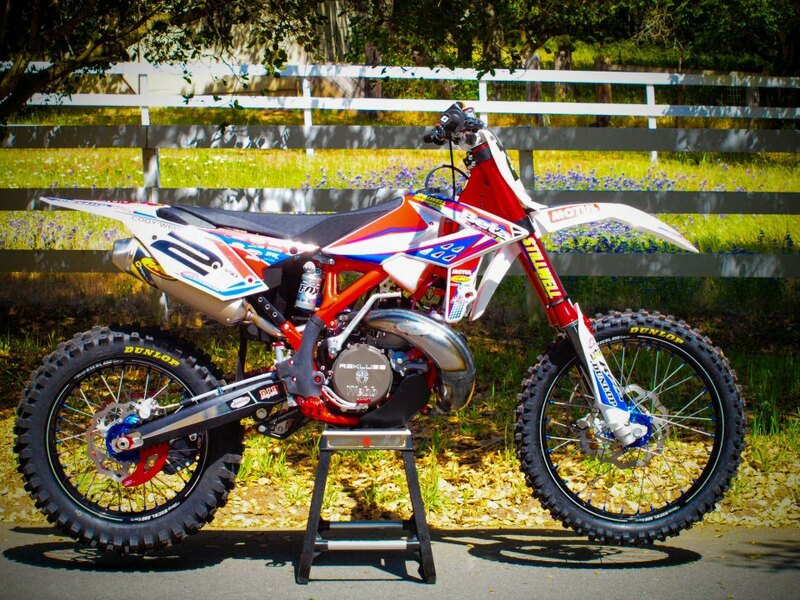 SMS Racing is selling a very clean 2012 KTM 125SX from their Supercross team line-up. Contact SMS for additional information. Great deal at $6,000. Direct Injected and Street Legal? Bring it on! This project came down to the last-minute, like they all seem to. 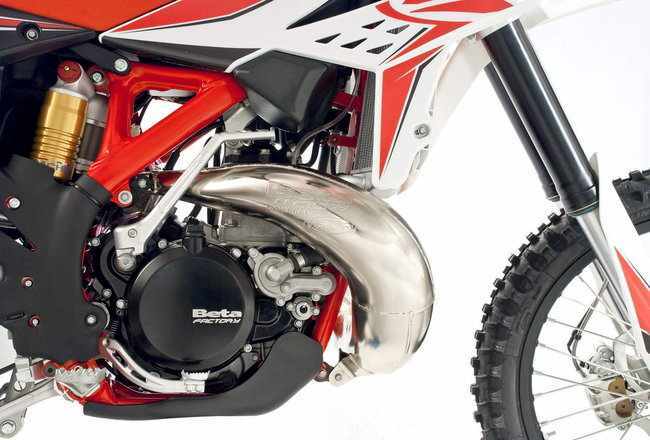 Two Stroke Motocross got together with Cycle Playground and put together a power plant for the SX. Michael Soudas at Cycle Playground put his touches on the SX motor. Starting off with an engine blueprint, head mod for combustion efficiency and all around power gains on pump fuel. Cylinder porting for increased flow and efficiency. The cases were matched and stuffed and case to cylinder match. The exhaust port and power valve were modified for increased flow and higher rpm’s and finished off with the carb oval bored to 39mm for increased mid range and top end. Service Honda puts together some amazing conversions. This is one of them. When you take a modern aluminum frame and stick a CR 500 motor in it, you have a 500 AF. When you take that Yamaha 450 chassis and put a 1985 CR 500 motor with Fuel Injection in it, you get a YZR 500FI. Check it out! 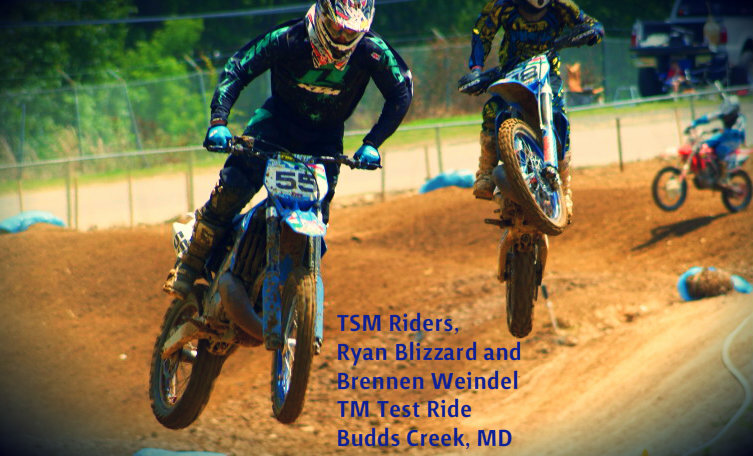 Last weekend we headed to Budd’s Creek with our team riders to test the 300?s. We receive questions all the time about the Italian bikes, now we can give some answers. On Saturday May 12th, DEP Pipes brought us out some pipes to test. Our support rider Todd Weindel pulled off his Pro Circuit system to give the DEP set-up a try. The test was done on his 2004 Suzuki RM 267 with a Raw DEP pipe and full length silencer. This is a Gallery from our TM test day at Budds Creek on 5/12. We put our team and support riders on the TM 300 MX and 300 EN to give you guys our opinions on these beautiful machines. Everyone has been wanting to see this years KTM’s Could this be it? Possibly. We can speculate all we want, but either way this is one sick Katoom! Nice body, clean lines. What do you think? For years riders have been going back and forth on which bike is better. Some say two strokes and some say four strokes. We’ve laid out the facts in this graphic below so you can choose your side! 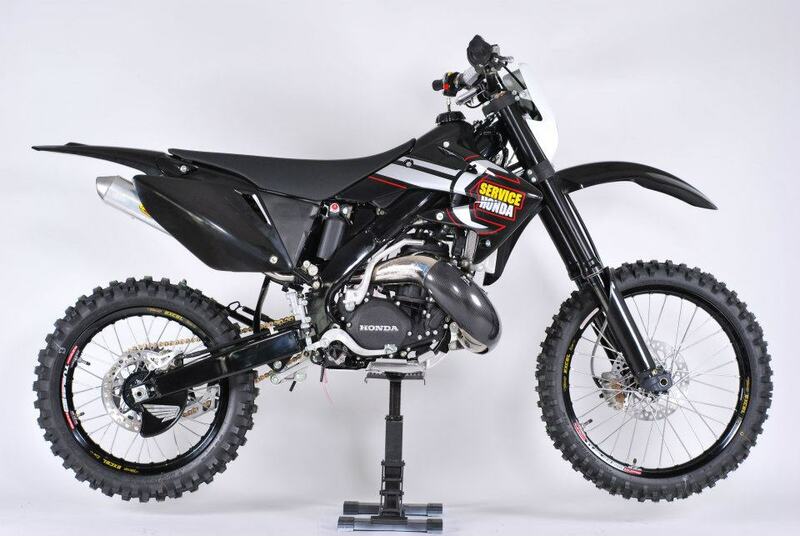 Ossa chose the EICMA show in Milan to present a prototype that will stand out in the Enduro discipline. TSM is pleased to announce MotorSportsTube as our newest site sponsor. Rumors of the Yamaha two-strokes demise have been exaggerated; It may be BNG, but at least they provide an option for loyal Yamaha pilots. Oh no! Not another article about direct injection! Of all the subjects talked about on the TSM forums, DI is the one that brings out the most emotion. So what does it take to be a competitor in Motocross? Patience, Skill, and Determination. Some things in motocross, just like life, are unexpected. You could be riding on the track and smoking all the 4strokes then just like that, your bike wont shift into gear. That’s what happened this past weekend at Virginia Motorsports Park, for Jeremy Wendelken. During practice on Saturday, Jeremy’s gears on his YZ250 went out and it seemed as though racing the following day was out of the question. On a hope and a wish, Jeremy put a call in to Jarman’s Sportcycles. In the late evening hours, Jeremy’s father, Rick, came rolling back into camp with a brand new 2011 YZ250. Charles immediately sprang into action, pulling parts from the old to switch to the new. TSM was determined to have its rider and bike track-ready for the following morning. Working till well after midnite, the whole crew pitched in to make the new YZ race ready. TSM must have did something right! Right off the line, during Jeremy’s first holeshot, the bike did not want to stay down. The power was intense and Jeremy’s skill really kicked in as he made his way around the track. Thru out the day, Jeremy broke the new bike in hard and fast, never once letting up off the accelerator. Ending the day with 1 first place finish and 3 second place finishes, Jeremy and TSM had an awesome day of racing. TSM would like to thank everyone that helped keep Jeremy on the track last weekend. With a special thanks going to Don Mclaughlin for his help and use of tools. And a HUGE thanks to Mr. Jarman sending the new bike out, straight off his showroom floor. This is yet another great article from Motocross Action Magazine. If you guys are going to subscribe to any mag, make it MXA. They have no problem telling it like it is, and they obviously have an interest in Two Strokes. Another great article from MXA. This is a great article from Motocross Action Magazine! Mike Sleeter is a guy with a full plate. Between managing KTM’s Amateur team and doing Research and Development for KTM’s new products in the U.S., does he have time to enjoy the bikes he works with all the time? Back in the seventies the ill-fated 125 Maico failed to reach the lofty heights of success achieved by its big bore motocross stable-mates yet gained quite a reputation in its short lifespan on the road racing circuit for its out and out speed. With information on the 125 sketchy at best, the general consensus of opinion seems to base reliability issues as the reason the motor disappeared from the otherwise formidable line up, yet no-one appears to have been able to pin point what those issues were and why they were apparently not addressed. At the Burro Enduro this past weekend…. Paul found a rock which sheared off his throttle tube. 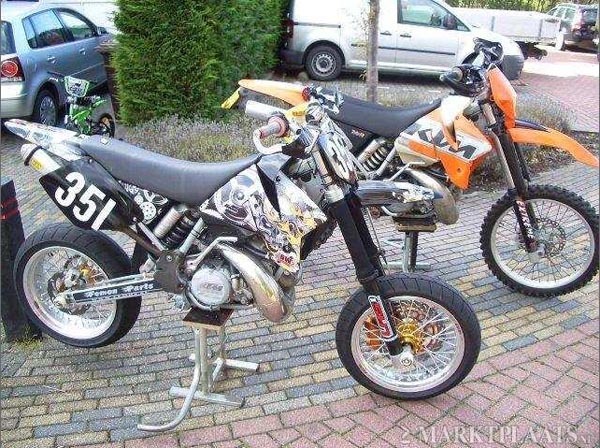 Hans from the Netherlands sent these photos of his four-stroke killer KTM 380 Supermoto machine. This bike is a beautiful example of a race machine that is well prepared and race ready. In the November 2010 issue of Dirt Rider magazine, they did a comparison test. Putting the two-stroke KTM 150 against the KTM 250F. The results are a bit different than you might expect. It’s a worthwhile test to read. Please post your comments and opinions below. The Motocross Des Nations was cool. It had a long and glorious history. Originally for 500cc bikes only, it was a great event, and thought of as the most prestigious motocross race in the world. This is an excerpt of an interview published in the August 2010 issue of Motocross Action Magazine. Please subscribe to this magazine as they are a great supporter of two-strokes. The guys over at FMF continue to push boundaries with their fabulous ad series for the two stroke. Utilizing creative ideas and sensible ad copy they continue to support the two-stroke. This ad is the latest from the FMF crew. Q: FIRST AND FOREMOST, IS THE 2010 YAMAHA YZ250 BETTER THAN THE 2009 YZ250? (1) The right-side gas tank graphics are new. Amongst all the costs of motocross, there is one constant, sometimes tedious (at least for the beginner) and fairly costly maintenance aspect of off-road motorcycles. The tires. Because I am relatively new to the sport of motocross, I can’t state this as a fact. Although I’ve heard tire technology has changed a fair bit over the years, there is a wide selection of off-road tires available to the public. My mission was to build the most effective, do it all 2 stroke race bike that I could. I used only the best aftermarket parts and services available and here is what I ended up with. I purchased a new 2009 Yamaha yz250 from Colorado Powersports, I chose a 2 stroke due to there reliability and low maintenance cost and a Yamaha because in my opinion the best of the 2 strokes still being made. And here it what I did to the bike. This is my first day back on a 2stroke after a 3 year layoff. I was racing in the Belgium Amateur Championships MX1-MX3 class. Here is the story of my rebuild of my 2005 KTM 200 EXC, twostrokemotocross.com inspired me to have a go and do it myself. Since starting racing as a 10 year old in 1984, I have had two dirt bike ambitions I really wanted to fulfil, first to ride a 500, second to rebuild my own motor. Well the first was ticked off last year in the dunes at Lancelin, north of Perth, Australia, thanks to the kind Kiwi who said in response to my request for a photo of his gleaming 2001 model CR500, “Take it for a spin if you like.” Needless to say I took the offer up, let me tell you holding that baby wide open in 5th in a pair of shorts and sandals was quite a thrill. I have a neat little scar on my left calf to remind me of when the curve in the pipe branded me on that great day! Anyway, after 5 heavenly minutes I figured I would be wise to hand it back while I was still in 1 piece. This story was posted on Thumper Talk by Fiddy631. There appears to be more of these stories circulating around and thankfully more racers are deciding to switch to two-strokes. It is “borrowed” and published here for your reading pleasure. After 6 yrs of 4 stroke racing 250f and 450, I’ve reentered the wonderful world of the 2 stroke. Its not as I remember, but better!! The 2010 YZ125 is quickly following in the tire prints of the last four YZ125 motocross bikes we’ve tested at Dirt Rider Magazine. The path goes like this: We get the bike from Yamaha, we ride it for photos and then we fight over who gets to race test it. I, smartly, won the race test spat and I’ve been riding and racing the bike at every track I can drive to since. My name is Jesse Miller and I live in BC Canada. This winter I saw my Kx125 and I decided to give it a face lift. My courses at school were really easy and I had a lot of free time that I didn’t want to go to waste playing video games. So I decided to start disassembling my well used 2006 Kx125. From our reporter Arie we have the following update. From his sponsor I received the news that Yentel Martens is given a start for the Valkenswaard MX-GP this weekend. During the third race of the Open Dutch Championships in Gemert, an eagle-eyed photographer spotted this nice looking Yamaha. Could this be a pre-production 2011 model? After the rash of Photoshopped fakes that circulated around the Internet in the recent past, here are photos of an actual machine. As soon as we find more information about this machine, it will be posted here. With more major development news expected soon Maico International have now appointed several distributors in various countries and with several other companies from around the globe flying into the U.K. over the next month to discuss distribution a substantial network of global distributors is expected to be released soon. Q: FIRST AND FOREMOST, IS THE 2010 KTM 250SX BETTER THAN THE 2009 KTM 250SX? A: Yes. KTM has a reputation for making constant upgrades to their bikes. The 2010 KTM 250SX does not obsolete the 2009 model, but it is incrementally better. Q: WHAT DID KTM CHANGE ON THE 250SX FOR 2010? 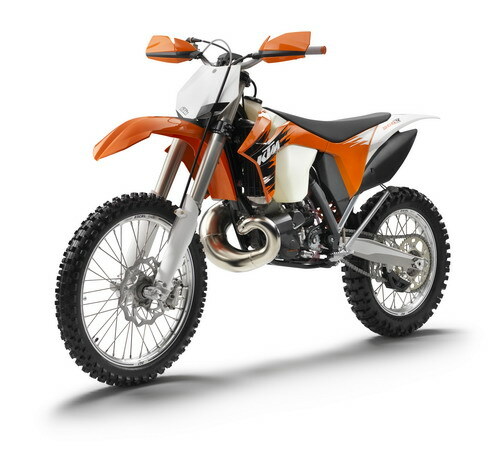 A: KTM has more different models of dirt bikes than any other manufacturer. So when they make changes to a new model, the changes can be broken down into two types. First, there are the “brand-specific” changes. These are mods made to every bike in the 2010 KTM stable. Second, there are the “model-specific” changes. These changes are made specifically to the 150SX, 250SX, 250SXF, etc. As we know the beloved 4 stroke while touted as modern tech is really obsolete tech resurrected by a faulty rule book. Here is an image that shows how old “new” chassis design really is. How different are these two machines that were built 28 years apart?? The thing is it’s not as much as you might think. Sure there have been improvements in suspension, brakes and other things, but in the numbers that really count, these two diverse machines share more in common then at first meets the eye. This is an article from Dirt Rider that was first published in 2007. It’s such a great story that it is “re-printed” here for your reading enjoyment. Winning the crowd’s heart with a 250cc two-stroke. There are thousands of racers all over the globe that love and compete in motocross. The French Racer Cedric Soubeyras is one of the newest up and coming racers to hit the scene. Obviously he came to the attention of Two Stroke Motocross when he began competing in the European rounds of Supercross on a KTM 250 SX two-stroke, where he became an instant hero to legions of new fans. We contacted Cedric to ask him some questions and get to know him a bit better. Plus we wanted to find out what his plans are for the future. Unlike the major manufacturers, TM Racing is not resting on their laurels for the two-stroke market. TM continues to improve their machines to ensure that racers have choices. The look, fit and finish of the TM is reminiscent of a factory works bike. Only the very best parts and components are used to build the TM racers. Last March at the Geneva Motor Show, Lotus announced its new Omnivore research engine. The Omnivore is a two-stroke direct-injected engine designed to take advantage of the latest in electronic engine management and run on just about any liquid fuel (hence the name). In the time since the initial announcement, the boffins at Lotus Engineering have been exercising their creation on the dyno stand to evaluate its performance. It has been said: “Opinions’ are like belly buttons…everyone has one”. I am inclined to believe that there are folks out there who have a pocket full of belly buttons! It’s great to have differing opinions. I always enjoy exchanging thoughts and opinions with those who have based their positions on FACT. Just because we have differing opinions doesn’t infer that one is correct and the other incorrect. Unless of course, that opinion is based on conjecture, speculation, bias or even (yes I will say it) IGNORANCE. I say these things because what you are reading are MY OPINIONS of a motorcycle. And these opinions are based on more than feelings, affection, brand loyalty or speculation. I was asked by “The General” to write a long-term test for the Maico 500. I own a 2004 Maico 500 and my brother owns a 2003 Maico 500, so I have a good idea of these bikes and a very good feel for them. I’ll do my best to give as many details possible. The test report will be broken into three parts. The first part will deal with the bike itself. This will include everything from ergos, assembly and construction, the various things that make the Maico a Maico. Part two will be an in-depth look at the mechanics of these bikes. I have been through every part of these bikes and I’ll tell you everything I’ve found. In part three, I will cover of the most important part of the entire article. I will report what it is like to ride the Maico. We never rest here at 125mx.com, we needed to know some answers concerning race bikes, we wanted to know ‘’which is best’’ and why ! Going via any magazines stock bike shootout was not going to help us as we all know the PR guys have to keep everyone happy and tell us what we want to hear, plus we all change stuff on our stock bike’s before they even get to the start-line, so we all want a better bike than stock, Right ? The Spanish produced Ossa brand of motorcycles were manufactured and sold from 1924 through 1982 when it quietly went out of business. Like a Phoenix rising from the ashes, the brand is back with one of the most technologically advanced two-strokes ever seen. The Australian magazine Dirt Action compared the KTM 150SX against the Kawasaki KXF250. The surprising aspect of the test is the difference between the test riders preferences and their lap times. Many people claim that they are faster on a four-stroke than a two-stroke, but how many of them have actually used a stop watch and checked? And with this comparison they still allowed the four-stroke an almost 100cc advantage. Regardless of the lies and marketing hype that now surrounds motocross, there are racers out there both racing two-strokes and winning. As so many people have suggested, just follow the money. The major manufacturers want to sell four-strokes, in many cases they are the biggest advertisers in magazines and invest a great deal in professional racing. Many of them have ceased production of two-stroke machines, in effect calling them inferior. A decision had to be made; buy a new bike or spend a few dollars on the present steed. Realizing that I indeed enjoy the bike, the decision became simple. And, if Honda no longer embraces my choice – who cares! I have tools… I know a guy….. In my hands the bike shall evolve with good-old American ingenuity. The irony is not lost on me - An American investing in an Asian canvas. The Empire of a company Honda, created the Elsinore in 1971. Honda nurtured it for decades, commissioned some great riders to race it including Gary Jones, Marty Smith, Hurricane Hannah, Bad-Boy Rick Johnson, Professor Bailey, Stanton, the King MC, one Bradshaw, a Passionate Lusk, and some guy named RC, then for some reason Honda seemingly abandoned its legend since 2003 and then canceled production in 2007.. But why, why abandon this motocross lineage before its time? If it was a scooter or street bike it would be celebrated as a high water mark on Honda’s web-site. But as it stands, the Elsinore is barely mentioned. I could go buy a four-stroke, conform or be cast out. (G.Lee) I could go bowling ala Lebowski, or I could reinvent my bike. Here are two amazing Honda CR250 machines from our friend Andrea Talozzi. He currently commutes between Italy and California. While in California, Andrea works for Motocross Vacations. He is looking forward to living in the US full time. Something you might find of great interest is a new project bike that Andrea is working on next. It sounds like one awesome machine! The only thing I want to know is, when can I ride it? 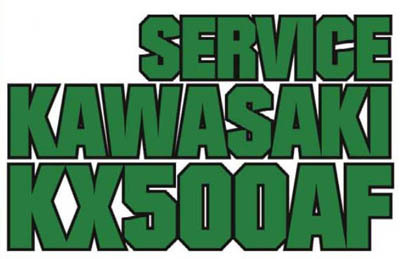 In the September 2009 issue of Motocross Action, Chuck Sun writes about his experience racing the Service Kawasaki 500AF. After the magazine had tested the bike for a few months, their impression was that it was a machine that did not turn well, had unmanagable power and unbalanced suspension. Unfortunately the Kawasaki factory would prefer that he race the four-strokes and not this bike. So you may not see it around all that much. Since it’s appearances may become rarer in the future, here are a few pics. While four-strokes are still the bike of choice for many professional racers, there are some that prefer to use two-strokes. At the X Games a few racers chose to use two-strokes. Of course a large contingent of freestyle riders use them all the time, including one of the most popular riders in the world, Travis Pastrana. 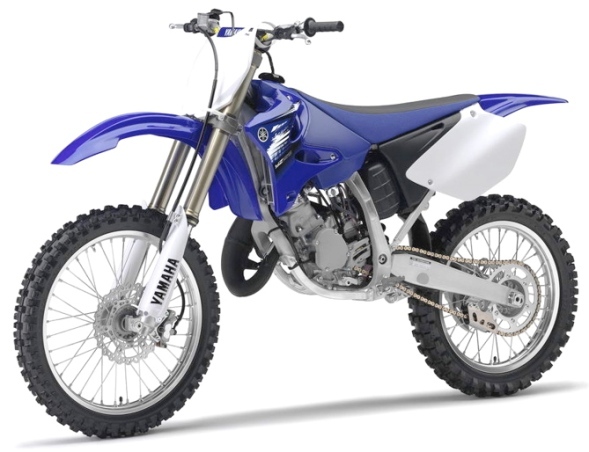 Was there ever a bike that was more anticipated than the 2010 YZ250 two-stroke? There has been rumors, speculation, and questions but very few real facts. How about we try something a little bit different for a change? How about a little fun? Get your thinking caps on and see if you can answer the following three trivia questions. Lil’ D over at FMF Racing sent us a pile of photos that he shot at the 2 Stroke Invitational at Red Bud. There are some great behind the scenes photos here. Enjoy! Riding on the crest of a wave in P/R terms, Maico International have gone one step further in their crusade by becoming the first company in the world to endorse the full range of Maxima oils products. Based in the U.K., Maico International bosses Vincent Page and his partner Lesley White along with one of their riders, and head mechanic Neil Berry have been vigorously testing all the products with their high performance two stroke range of bikes and are at a loss to find anything negative to report about the performance of any the Maxima products. Imagine having at your control the power of 2,000cc’s of two stroke power! Well a group down in New Zealand has commissioned an engine for a special purpose. From the video below it appears that the motor uses 4 Honda CR500 cylinders to create the V4 configuration. Most people after watching the video of the engine being tested on a dyno have complained that the power of only 200bhp sounds a bit low. As the relationship between the motor-sports division of Wessex Petroleum U.K, Atol Race Fuels, and Maico International grows, the distributors for the iconic two stroke machines took a promotional role with the Maxima Oils importer and headed west for an Enduro event on Wednesday 4th June. Taking a mid-week break from Motocross, Maico Internationals Dunlop Maxima rider Neil Berry launched himself into a two and a half hour Enduro following a promotional photo shoot for Maxima oils. Here we go. More and more stories about two strokes getting back out on the track. This one was written up on the Racer X web site under the Trainer Talk section. Daniel Corbin was without his bike because it was down and out for a while so he decided to pick up a used YZ250 two stroke. The 2001 Honda CR125 is a great bike. Yep, you read that correctly. While the magazines may have called it “slow”, or “anemic”, or even a “turd”, this author begs to argue the bike is a great buy, and even more so is a great buy for you. Following the acquisition of the sole distribution rights in the U.K. and Ireland for the high profile American oil “Maxima”, by the motor-sport division of Wessex petroleum, Atol Fuels, the Southampton (U.K.) based company are pleased to announce that the first shipment has landed on U.K. shores. Maxima has a well established track record in the states with the iconic Ricky Carmichael being without doubt, its most popular devotee of the whole range of products in recent years. The campaign to raise public awareness of the brand in Blighty has got off to a great start with a massive number of off road specialist retailers expressing an interest in stocking the product. No, this is not a mis-print! Yes the guys down under at the Two Stroke Shop have dedicated themselves to building powerhouse two stroke street machines. The newest machine to come out of their shop is the Kawasaki 1100cc triple. This looks to be an amazing machine by all accounts. The big daddy of all the reasons that the four strokes were forced upon us, was that the EPA was banning all two strokes. This is repeated often as one of the cornerstone reasons by proponents on either side of the debate. I have not seen any written proof of this legislation in any of the mainstream media. So with the attitude that we must have hard facts before we can agree or disagree, its is time to find out the truth. If you haven’t seen this you must read it. Here is the whole situation straight from Davey Coombs. It appears that KTM has Fuel Injection ready for two stroke motocross bikes. 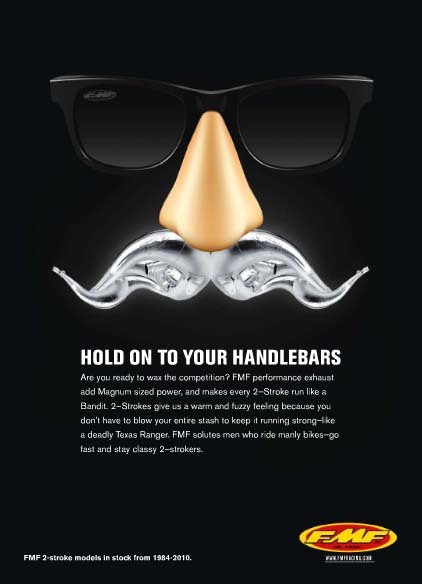 In the August 2008 issue of Motocross Digital magazine (free subscription available at http://www.motocrossdigital.com/ ) was the following blurb about the KTM effort. The 250SX could have a bright future, it depends on what happens regarding the rules and regulations: KTM wants them to be introduced to MX2 to allow teams that don’t have millionaire budget to compete against the 4-strokes. For the 2-stroke, the injection is ready, and this would provide cleaner and precise power delivery. 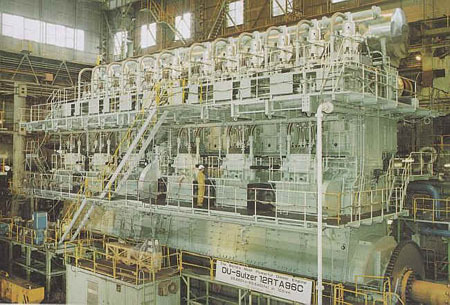 The world’s biggest engine is the Wartsila-Sulzer RTA96-C. It is a turbo charged two stroke diesel engine and it is the most powerful and efficient low revolution engine in the world today. The Wartsila-Sulser is manufactured by the Aioi Works in Japan and is part of Japans Diesel United Ltd engine manufacturers. Below is an 89 foot long 44 foot wide 12 cylinder engine, literally as big as a house! The following is the complete test retyped for your enjoyment. The crew over at Motorcycle USA.com just finished up their shootout of the latest 250F’s and they decided to add a YZ250 two stroke. Unfortunately they did not really include the YZ250 in the shootout, but they did ask their test riders impressions. How stupid are we? Don’t answer that. Instead, let’s analyze the facts and, if possible, fix the blame on someone other than ourselves. MXA’s first choice is always the AMA when it comes to looking for a scapegoat, followed by the government, manufacturers, marketing men, and if all else fails—the Eskimos. What’s the problem? The problem is that somehow we went from racing technologically advanced, cheap and easy-to-maintain two-strokes to a world dominated by complicated, heavy, expensive and impossible-to-work-on four-strokes. Yamaha’s 2009 YZ250 and YZ125 bike intro was not really to show off the bikes’ minimal changes, but to remind us how fun these bikes are. They gassed up their ’09 two-strokes and sent us out on a ‘Field of Dreams’-like private track to twist throttles and stretch smiles. This has to go down in history as the most successful bike intro ever based on a manufacturer reaching its goals. These pingers are loads of fun, and if you’ve been on a straight-gas diet for too long, you probably forgot the incredible response of the YZ250 (you don’t need a fuel injection system to spike your adrenalin) or the magical handling of the YZ125. What if you could get a motor with nearly all of the characteristics of a 4-stroke and the lightweight and power of a 2-stroke rolled into one? Eyvind Boyesen may just be onto something with his revolutionary design. Lotus Engineering, in collaboration with Jaguar, is starting up a project they’re calling “Omnivore,” a task which, if successful, could see traditional internal combustion engines go the way of the dodo. Lotus is planning to meld the two-cycle engine with new technologies — direct injection and a variable compression ratio — to create an engine able to run on almost any fuel. If you’ve ever wondered what the future of the internal combustion looked like, you’re getting a peek now. To read the rest of the article please click on the link below. First, let’s get one myth out of the way up front. It is common for modern critics of the 450cc four-stroke to claim that the AMA 500cc National Championship was terminated because bikes like the CR500 and KX500 were too powerful. Not true. Not even close to true. The reality is that the AMA dropped the 500 National Championships after the 1993 season under political pressure from Suzuki and Yamaha. So much media attention has gone towards attacks on the two stroke engine, some claiming that it can not pass strict emission regulations. Well it is just not true, as proven here by Tanaka Power Equipment. 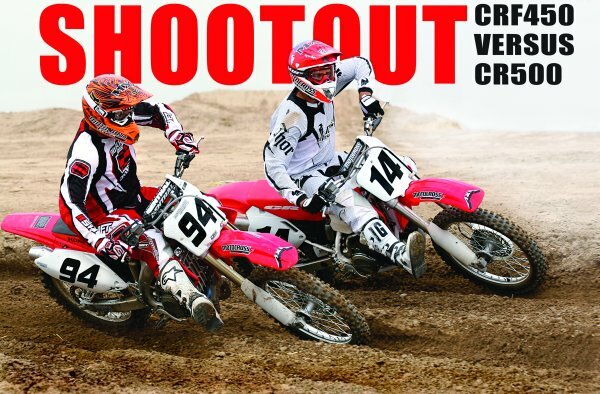 One of my favorite magazines just recently tested the 2009 Yamaha YZ two strokes. This is unusual because they had not really said much about the two strokes in quite some time. Is it possible that the tide could be changing? What folows in an Except from the Racer X web site. At the end of the blurb is a link to the article written by David Pingree. Please sign up on the Racer X site and leave a comment. The August 2008 issue of Motocross Action magazine contains a test of a 250 two stroke versus a 250 four stroke. The following is the text of that test. 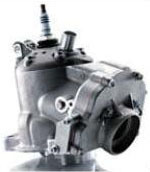 Rule changes made the fourstroke what it is today. Without the AMA four-stroke exemption rule of 1998, the modern four-stroke would still be defined by the Honda XR600. 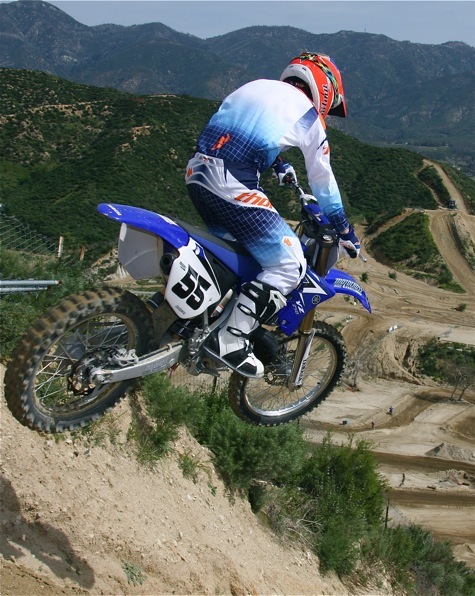 The 2009 YZ250 is light which allows you to scrub jumps with ease. Yamaha’s legendary two-stroke is more potent than ever with a light aluminum frame housing a patented YPVS Power equipped engine that delivers great power-to-weight ratio. YZ250 is ready to race out of the crate complete with ProTaper aluminum handlebar, titanium footpegs, gripper seat and Excel rims.